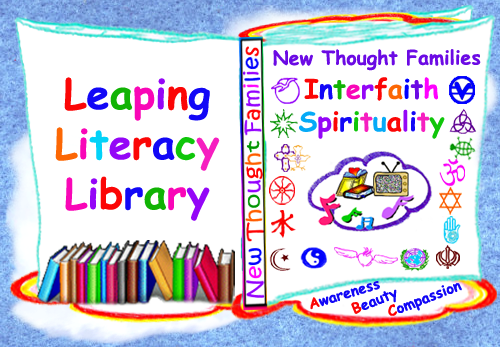 Creative Spirit Families serves traditional, creative, and spiritual family literacy through live events, blog, and multi-media expressions in the Leaping Literacy Online Library. Laurie Story Vela is an author/illustrator, singer/songwriter, performer, blogger, facilitator, and webmaster with Creative Spirit Families, New Thought Families, and Laurie’s Stories. Laurie Story continually co-creates because literacy lasts a lifetime and creativity is a spiritual lifeline into the divine! Our live events include PlayShops and our annual Feathers Of Freedom Family Camp in the high Sierras where we nurture our creative, sacred, Free Spirit selves in an energetic vortex of nature’s beauty and power! Laurie and Jeremiah are a wonderful creative team, and graced and talented individuals. If you see them in person, you are certain to be blessed.